Hi! My name is Dr. Wong. Dr. Wong was born and raised in Edmonton. She attended the University of Alberta prior to attending the University of Waterloo, where she received her Doctor of Optometry degree with honours in 2015. During her studies, Dr. Wong completed an Ocular Disease and Therapeutics externship with the OMNI Eye Specialists in Baltimore, Maryland. In Baltimore, Dr. Wong gained indispensable experience in the diagnosis and management of glaucoma, cataracts, age related macular degeneration, diabetic retinopathy as well as a myriad of other ocular diseases. Dr. Wong has had the privilege of travelling to Peru on a volunteer mission to provide optometric care to the underprivileged and plans to pursue other volunteer mission opportunities in the future. 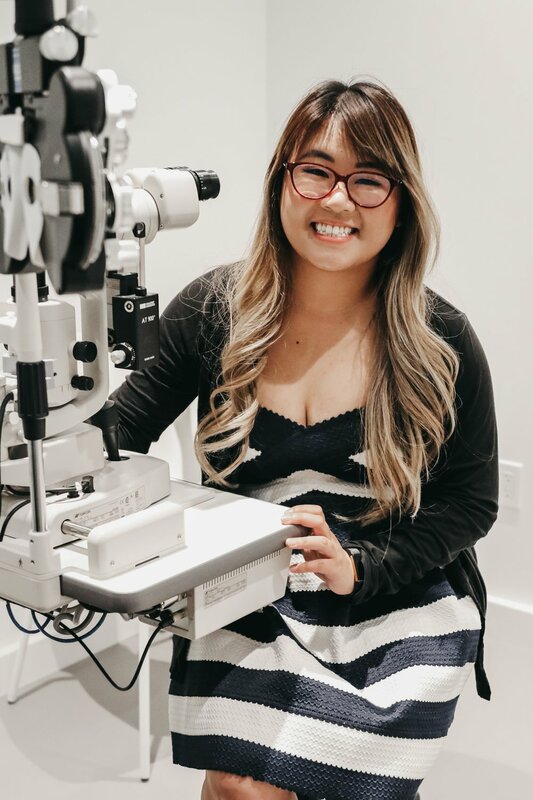 Dr. Wong loves seeing patients of all ages and is able to provide comprehensive eye examinations in English and French. In her spare time, Dr. Wong enjoys photography, travelling, and trying new foods. Jessica was born and raised in Edmonton. Jessica has been in the optical industry for over two years. She's a technician trained to design, verify and fit eyeglass lenses and frames to correct eyesight. One of the most interesting things she does is actually shape lenses to fit into glasses frames. Her hobbies include polish folklore dancing, traveling and shopping.